Orli: Her independence lights up the room. You moulded her well. Gibbs: She came that way. 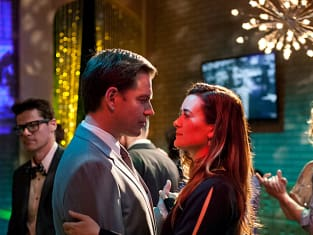 NCIS Season 10 Episode 21: "Berlin"
Ziva: When I have a man, the favors I offer have little to do with clothes. Tony: That's good to know. Tom Morrow: What are we proposing here? Vance: Well with international tensions being so high on this, I'm proposing that we look the other way. Tom Morrow: You can't be serious. Vance: I am, Tom. We come down hard on Mossad now, then what happens? Talk to me about wasted manpower if Bodnar gets away after all of this? But understand: this one pass is the last one Mossad ever gets from me. Tom Morrow: That makes two of us.